The 2011/12 Standards and Quality Report and School Achievements are now available to view on their own page in the school information panel on the right. 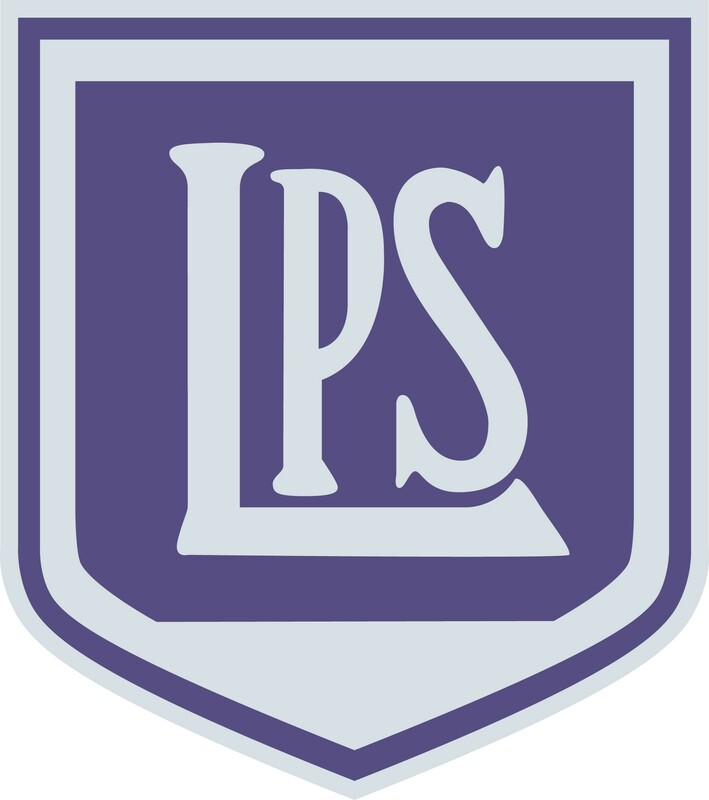 You may have noticed that Lasswade Primary uses Twitter. We currently have 71 followers and have had some great feedback from parents. As in previous years, Twitter will be used during the P6 Robinwood residential experience. It is a fantastic way to hear about the activities that are going on and to see some photographs of what the pupils are doing as it happens. If you don’t Tweet – don’t worry! Visit our homepage and you will find a live feed of all our tweets down the left hand side. 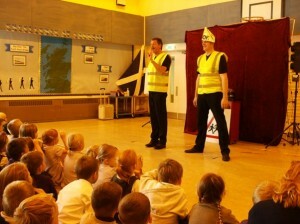 On the 7th of October, Mr Rae is travelling to Poland to visit a Primary school, meet pupils and shadow staff. We hope that this visit will be the beginning of a more formal school link, which will provide us with many opportunities to share the work that we do and to develop our Global Citizenship work. 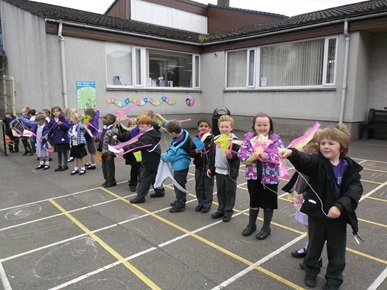 Here’s a news letter from the Learning Council on their visit to Bonnyrigg Primary. Once children have mastered the basics of learning to read, many parents are concerned about how best to develop their child’s skills and encourage a love of books. The conference will support parents in helping children to successfully negotiate an information rich world and to become readers for life. Nicola Morgan, the award-winning author, will deliver the keynote address. The conference will explore some of the perceived barriers to reading and discuss how parents can best support their children. Here is our September newsletter with news on upcoming assemblies, the harvest festival and much more. P7 have returned from an exciting visit to Frankie and Benny’s at Straiton today. They travelled on the bus to Loanhead and walked the short journey from the bus stop. When they arrived, the class asked the Manager some interesting questions about the restaurant which she answered for us. How many Frankie and Benny’s restaurants are there in the UK? What do you think makes F&B so successful? What training do you have to do before you can work here? After the question and answer session, the pupils participated in a paired activity to work out the reasons for wearing uniforms while serving and cooking food. All of these activities helped them to think more carefully about food hygiene and safety and will support them in their own restaurant project. 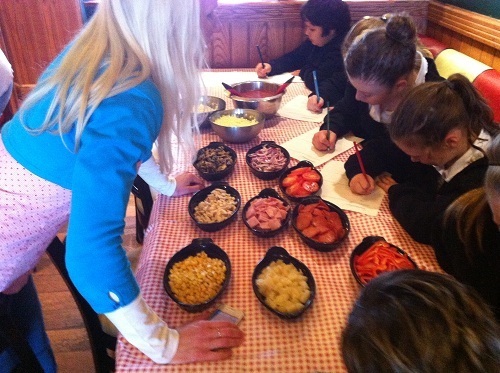 The best part of the trip was when each pupil had the opportunity to create their own personal pizza using fresh ingredients and enjoy it freshly cooked from the pizza oven. While they were cooking, the pupils were treated to a ‘Mocktail Masterclass’ by Zoe, who created them some tasty drinks. The pupils now plan to write to Anna, Zoe and the Frankie and Benny’s staff to thank them for the visit and to invite them to hear about their own restaurants later in the term. Your Parent Council Needs You!! Here is the slide compiled by the Parent Council for Meet the Teacher night. If you didn’t get a chance to attend, the following tells you what the Parent Council does and how you can get involved. Parental involvement is key to the success of our school and we really need some more parents/carers to join the Parent Council. Everyone is welcome to attend our meetings and your assistance in supporting and helping with our many events is invaluable. Who Are The Parent Council? 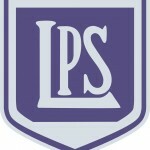 We help support the school and raise any concerns connected with the development and procedures in the school. The Parent Council represents the Parent Forum which parents/carers automatically become members of whilst their child is at the school. Raise any concerns from parents with the school. Work with the school to improve the facilities available. Organise events to raise funds for additional School equipment  and encourage the development of social activities among parents and teachers. Give input where required to assist the school in making decisions. Co-operate with other Parent Councils among the Scottish Parent Teacher Council. How Can I Get Involved? We are always looking for people to get involved, so if you think you can spare any time to help out either by attending meetings or by helping out at the fund raising events then please let us know or contact us using the email address below. P6 have had a great start to the year and have established a class charter based on their rights and responsibilities. They worked together to create newspaper articles about their summer holidays, the Olympics and Paralympics. They also included adverts and pictures and created their own names for the newspapers. They have also started to research the ancient Aztec and Mayan civilisations and have been extremely interested in different aspects of Aztec society, religion, art and inventions. The class came up with their own questions that they wanted to investigate and the ways they wanted to learn through co-operative learning strategies and these are now displayed on our learning wall. Some of these ideas were great and we now intend to turn an area of the class into an Aztec home, build our own scale model pyramids and design Aztec fashion that we can show of in a fashion show and Aztec ‘auction’. We have decided to hold an Aztec afternoon on Wednesday 10th October and we hope that parents and grandparents can come along to enjoy all our hard work. The children have been working with their talk partners’ to discuss current events, books and things that interest them, and this is helping them to develop new skills, think about how they learn, and share ideas, opinions and knowledge. P6X have been enjoying their PE times with Mrs Campbell the PE specialist and will start to work on drama and movement with Mrs Dixon. They have also started to create inspiring artwork with Miss Welsh. Primary 2 have been very busy since returning to school after the summer holidays. We have spent lots of time making up our own Class Charter and thinking about our rights and responsibilities. We have also been thinking about what makes a quality pupil and also a quality teacher! We have now all got new reading books and are working hard to remember our key words and practise our reading every day. We have been learning about 2D shapes and have used shape tiles to make our own robot pictures. 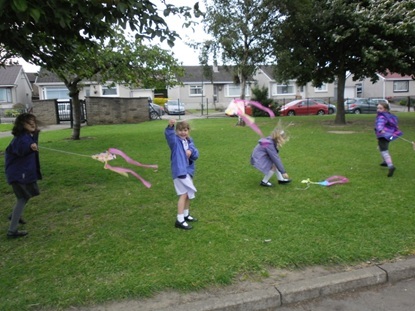 We also used triangles to make our own kites and had great fun flying them outside in the playground! ‘It was a fun thing to do’ said Arran! Our topic this term is about our senses and we have done lots of different activities to help us become more aware of each of our senses. We have enjoyed making our own shakers and playing in our own band! We have also been investigating the effect of vibrations on a drum using rice! We have made a rainbow collage and took part in a rainbow treasure hunt in the playground. We have also looked at how our senses help us to spot danger and did really well identifying lots of dangers in a kitchen. 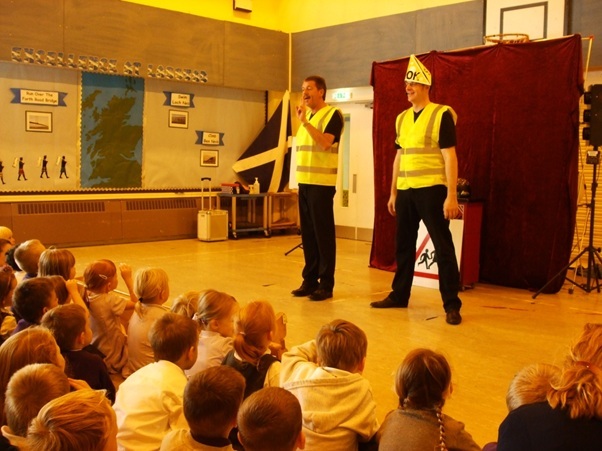 We were very lucky to have the show ’Be Safe, Be Seen’ come to the school and we had a great time watching and learning about how to cross the road safely.